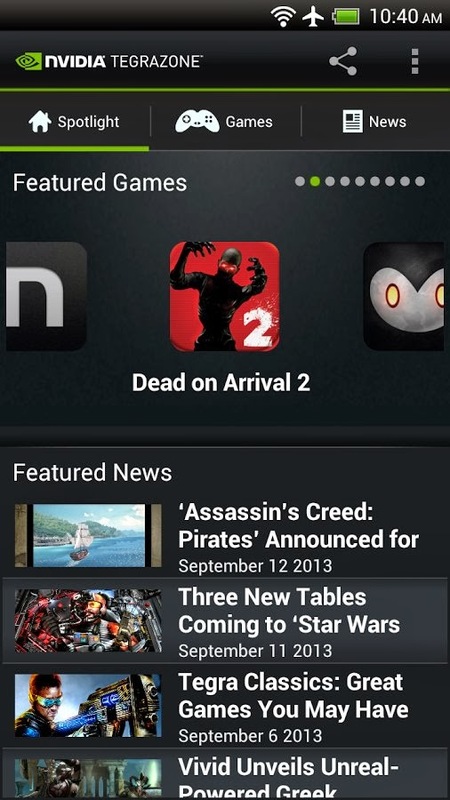 NVIDIA TegraZone app for Android updated to v2.9, now available for non-Tegra devices. Version 2.9 will also introduce a number of new features such as support for Google Play Game Services which provides achievements for downloading games, submitting reviews and ratings, and spreading the word about games featured in TegraZone. The ability for users to track their collection of games across all of their devices. Google+ login has also been implemented to allow for a more personalized TegraZone experience.